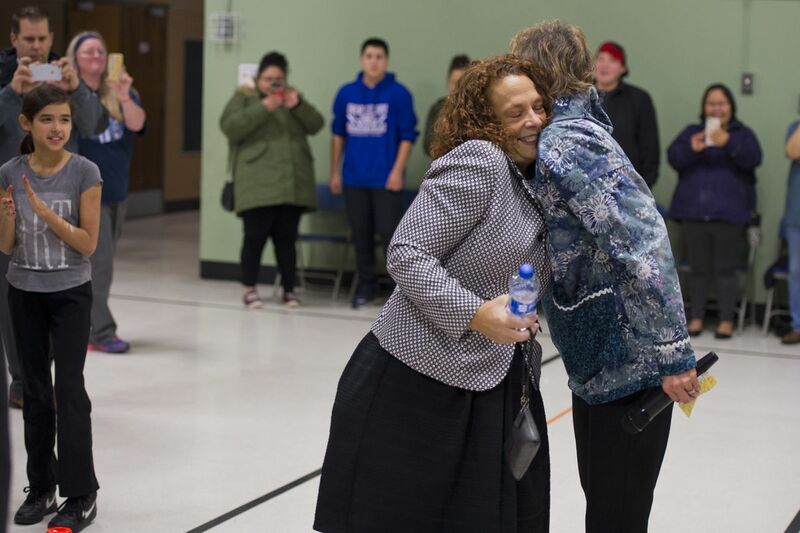 Loud applause and cheers met Danielle Riha when she walked into Anchorage's Alaska Native Cultural Charter School Monday afternoon for a surprise announcement. 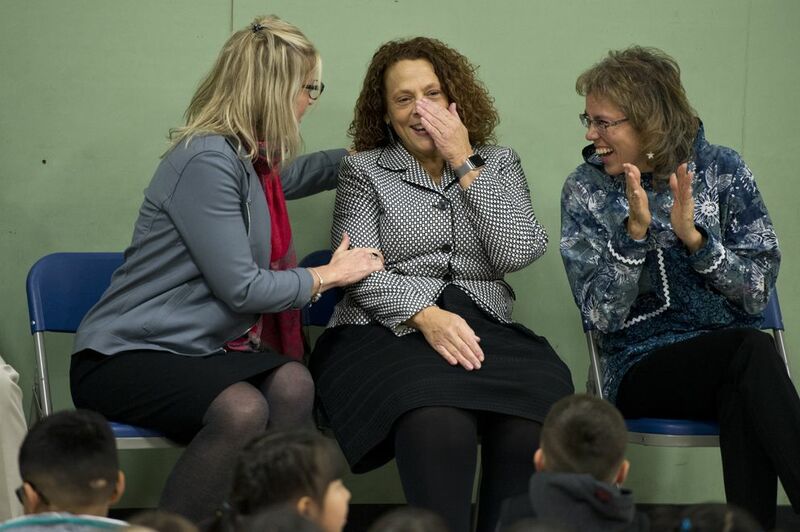 In front of a crowd of students, teachers, education officials and more, Riha, 51, learned she had earned the highest teaching honor awarded by the Alaska Department of Education and Early Development. Riha was named the 2019 Alaska Teacher of the Year. "She's a huge part of this school," said principal Sheila Sweetsir. "She's one of those teachers who's just amazing." Riha first came to Alaska 23 years ago and planned to stay for just six months, she said. She got a job in the fishing industry to save money for graduate school in Texas. While working in Unalaska, the local school superintendent asked her if she wanted to fill in as a substitute teacher. Her short-term trip became a long-term plan. "I fell in love with teaching," she said. "I fell in love with Alaska. I mean, really, who wouldn't fall in love with Alaska?" Riha spent seven years teaching in rural Alaska, in the Bristol Bay communities of Togiak and New Stuyahok. She moved to Anchorage in 2008 to help develop and open the Alaska Native Cultural Charter School — a public charter school in the Anchorage School District for students in pre-kindergarten through 8th grade. Riha currently teaches seventh and eighth grade language arts and social studies. To celebrate Riha's award Monday afternoon, students sang songs, including a Yup'ik version of "This Land is Your Land." There were also speakers such as Nya Ramirez, an 8th grade student. Ramirez told Riha she was the best teacher she's ever had. "You are one of my strongest role models," Ramirez said. Riha is now in the running for the national Teacher of the Year award as Alaska's official nominee. She will also serve on Alaska Education Commissioner Michael Johnson's Teacher Advisory Council. Each year, the Alaska education department accepts nominations for the Teacher of the Year award. A committee, including the 2018 Alaska Teacher of the Year, Ben Walker of Anchorage, selected Riha from a pool of five finalists. Johnson accepted the recommendation. The committee also picked Jacob Bera, a fine arts teacher at Eagle River High School, as this year's runner-up. Bera was named the 2019 Alternate Alaska Teacher of the Year on Monday.